I've known a lot of people who were book smart, did well in school, but were a bust as an employee or a leader. I also went to school with people that made Cs and Ds in class - and by the measure of the time (school grades) weren't considered smart. I then saw them get out of school and become huge successes, some multi millionaires, because they had the kind of smarts that counted. We’ve all been there – you’re meeting with friends, clients, or customers and out it comes, the awkward comment. When it happens again you may feel there is a pattern. You may find yourself dreading it in advance … before the awkward participant ever says a word. I’ve got one. He’s a good friend, highly educated, very motivated, and highly productive on actions and priorities. But, when it comes to being smart socially, that is, understanding how his words and actions affect others, he is non-existent. You’ve got one too. A person that you like, perhaps respect, but in (specific) group situations you wish that they weren’t there, or that you could control what, or how, they might comment. The fact is, they are socially inept – lacking in social or emotional intelligence. I won’t attempt to offer solutions to your challenge but instead choose to start our conversation with a market place expert on emotional intelligence. Emotional intelligence is not a trend or fad, and not really new. The social sciences are now catching up to give real indicators of that which was previously thought impossible to identify, measure, or understand (personality, behavior, emotion, cognition). It’s been encouraging for leaders to now know that emotional intelligence can be reliably measured and that it cuts across genders. 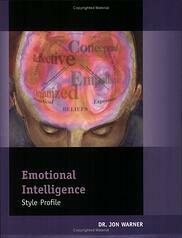 Dr. Jon Warner is author of the Emotional Intelligence Style Profile . 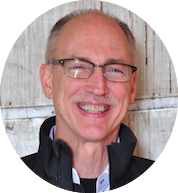 Jon is a prolific author and has created a variety of assessments throughout the years for coaching, leadership, problem solving and decision making, amongst many others. Below are questions and his answers regarding emotional intelligence. Q. Why did you decide to develop the Emotional Intelligence (EI) Style Profile? A. At the time we developed the Emotional Intelligence Style Profile, other emotional intelligence assessments focused only on EQ competencies (often based on the work of the journalist Daniel Goleman). We decided to produce our own assessment based on the original research done in the 1960's and early 2000's around social intelligence and the later work done mainly in the 1990's and early 2000's by psychologists and neuro-scientists. We took a year to gather the research and produce a style-based assessment initially in 2002 that we honed further in live client settings. Q. What settings give users the most benefit out of the product? A. The Emotional Intelligence Style Profile is appropriate to use in multiple settings, just as emotional intelligence is important in so many situations. This includes pre-development, pre-training, appraisal training, appraisal sessions, coaching people, and other settings. It is critical ahead of any kind of communication skill or knowledge building, as people need to well understand their own style biases before trying to flex to understand the style of other people (and to more effectively try to influence them). Q. Have the ways in which EI is viewed (or valued) changed over the years? A. EI is viewed as even more important in leadership development as it was a decade ago. This is because many research studies have shown that EI is often a major differentiator in an individual's ability to be successful in thinking about workplace issues and challenges and then managing themselves or others to tackle those challenges. The Emotional Intelligence Style Profile is therefore a great way to open people's eyes and show them the possibility of "flexing" personal style in order to get better results. Thank you Jon. My personal experience consulting with leaders of companies that generate revenue from $10m-$50b is this: there are three important areas of intelligence in the workplace. They are Intelligence Quotient (IQ), Technical Intelligence (TI), and Emotional Intelligence (EI). Usually measured in school at a young age, there is some debate whether this score changes over time. You can read more here. The consensus is that IQ tends to remain relatively stable over your lifespan. My experience is that you should hire the level of IQ you want coming in the door. One’s technical intelligence can be enhanced with training. My non-technical son learned to trouble shoot water heaters from a help desk with training, a computer, FAQs and diagrams. It’s OK to hire someone without the TI you need if you have good training and support in place. I recommend that you determine how to measure their aptitude for learning before you hire. Google defines it this way: the capacity to be aware of, control, and express one's emotions, and to handle interpersonal relationships judiciously and empathetically. And then follows with: "emotional intelligence is the key to both personal and professional success". Google is right on that last point. In working with companies around the world, I’ve had chance to interact closely with many Human Resource directors, training directors, and leaders who shot up through the company ranks. I’ve consistently heard the importance of interactions with co-workers, clients, investors, and boards of directors. For over 25 years I’ve used one exercise that has underscored the value of emotional intelligence. I ask participants to consider the worst boss that they’ve ever had, their behaviors and characteristics that made them a bad boss, and then write down the most common one on a sticky note. Using a different color sticky note I then ask them to do the same for the best boss or leader that they’ve ever had. With their two sticky notes in hand, one representing the worst boss and one representing the best, I ask them to post stickies on a flip chart in one of the three areas of intelligence that they deem most related to the behavior or characteristic. Once posted, the results were consistent. Each group's chart mapped the fact that 90% (or more) of the behaviors or characteristics of the worst boss and those of the best boss fell in just one area - Emotional Intelligence. The worst boss had no emotional intelligence and the best boss had plenty. You, too, can develop your emotional intelligence through books, videos, tests, and awareness. Recognize how people react to your statements, moods, body language, etc. and then start making adjustments. Being book smart isn’t really smart and will never make you a great entrepreneur. Becoming emotionally intelligent will.